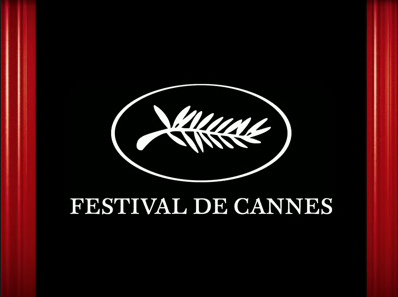 It looks like the Cannes organisers have got their act together after last year's competition failed to produce a single Oscar winner, crossover commercial success or any grand cinema scandal – three things expected from any great film festival. With what on paper appears to be a cracking line-up, Robert De Niro at the head of the jury and a flurry of stars expected on the red carpet – the 64th Cannes film festival has left us all with some pretty high expectations. Hollywood is decamping to Cannes this year. Oscar-winner De Niro, who starred in past Palme d'Or winners "Taxi Driver" and "The Mission", is at the head of the jury that includes Uma Thurman and Jude Law – they’ll be heading up the Palais de Festival steps every single night. The festival curtain goes up with the out-of-competition premiere of Woody Allen's latest romantic comedy "Midnight in Paris." No massive expectations for this but it can be relied upon to supply some hot Hollywood totty to kick things off with. Owen Wilson, Rachel McAdams, Marion Cotillard, Kathy Bates and Adrian Brody star, not to mention the first lady Carla Bruni, who has a cameo role. And that's just the start. There’s likely to be a Brangelina frenzy as our favourite lead man Brad Pitt is starring opposite our other favourite lead man Sean Penn in Terrence Malick’s “The Tree of Life.” Penn is also the star of Paolo Sorrentino’s "This Must be the Place." Johnny Depp will be there for the premiere of the latest Pirates of the Caribbean as will Jodie Foster, Mel Gibson (should this be in the controversy section?) Antonio Banderas and Catherine Deneuve. At Cannes it’s really the films that are the stars and this year’s line-up really shines. 20 movies are up for the big prize, the Palme d’Or, including films from some Cannes favourites like Spain's Pedro Almodovar, Italy’s Nanni Moretti and Belgium's Dardenne brothers. Almodovar will present "The Skin I Live In” with Antonio Banderas. It’s his 18th film. Many have won awards at Cannes but despite showing in competition three previous times he’s never won the coveted prize. Then there's previous Palme d’Or winner Nanni Moretti, whose film “We Have a Pope” looks at the relationship between a recently elected pontiff and his therapist. I wonder what Pope Benedict thinks about this during his time of scandal – Italy’s most internationally renowned director making a film about a depressed pope? Moretti stars as the psychiatrist. The Dardennes will be gunning for their third Palme d'Or with "The Kid With A Bike.” These two aren’t in the business of shocking us but they are guaranteed respectful attention. They are the only Belgian directors to ever win the top honour – and if they win again they’ll be the only directors in history to get a hat trick. His films have been hailed as among the greatest ever made, this is only his fifth in 40 years and he’s only been in Cannes once before and that was the year I was born, when he won the director prize for “Days of Heaven.” The US director Terrence Malick will present “The Tree of Life” in competition. It is this year’s hot ticket. When the news came it sent pulses racing. His work is always greatly anticipated partly because of the long wait his fans must endure. We can also put the excitement for this film down to the choice of the male leads Brad Pitt and Sean Penn – their first time appearing on screen together. Pitt plays Penn’s father and not much else is known but even unseen this film is the odds-on favourite to win the Palme d'Or. Since it started in World War two the festival has been known for its rippling waves of controversy and this year looks set to deliver. The master of mischief Lars Von Trier, a Palme d'Or winner in 2000 with "Dancer in the Dark" will be there with "Melancholia." He’s described it as a ‘beautiful film about the end of the world.’ We can never quite believe what he says as he’s a big time trickster but what we do know is it stars Kirsten Dunst, Kiefer Sutherland and Alexander Skarsgard and he says it's his first film that doesn’t have a happy ending (??!!) He loves to shock – cast your minds back to the ultra scandalous "Antichrist" in 2009 and the scene that made women everywhere gasp in horror. Another film showing out of competition and likely to stir controversy is "The Conquest" by Xavier Durringer. It’s a biopic of Nicolas Sarkozy and is the first film ever at Cannes about a serving French president. I have a sneaky feeling it won’t be casting him in a shining light. As well all the regulars this year there’s a sharp focus on new talent with some of the hottest up-and-comers in the main line up, Nicolas Winding Refn, the Danish director best known for his violent Pusher trilogy is here with his film "Drive." The Australian author turned director Julia Leigh will show "Sleeping Beauty"about a university student (Emily Browning) coerced into prostitution. It’s one of two first-time films in competition, the other being "Michael" by Austrian film-maker Markus Schleinzer. He was the casting director for Michael Haneke’s 2009 Palme d’Or winner "The White Ribbon". The French actress Maiwenn Le Besco will show her film "Polisse." 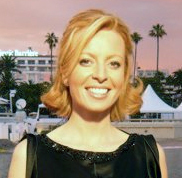 It's her third film as director and her first time showing in the Cannes competition. We know her best for her role in Luc Besson’s "The Fifth Element." According to the Hollywood reporter (who we’re working in partnership this year) keep an eye out for "This Must Be the Place," an English-language drama from Il Divo director Paolo Sorrentino. If the plot -- gothic rocker-turns-Nazi hunter to avenge his father -- doesn't sound out-there enough to generate interest, then Penn in a jet-black wig and mascara is sure to be one of the more enduring images on the Croisette this year. In recognition of the trouble and change in the Middle East, the festival is honouring Egypt this year as its first "guest country." Also showing will be a documentary about the uprising in Tunisia. It’ll be the country's first film in Cannes in 11 years. Films by convicted Iranian directors Jafar Panahi and Mohammad Rasoulof, made in prison, will also be screened in the official and Un Certain Regard sections. Bollywood will show its face with an out of competition film produced exclusively for the festival called "Bollywood: The Greatest Love Story Ever Told. Produced by Shekar Kapur, the documentary looks back at the times gone by in Indian musical films. In it we’ll see the big Bollywood personalities such as Dev Anand, Amitabh Bachchan, Shammi Kapoor, Madhuri Dixit and Aishwarya Rai. Last but not least the Italian cinema legend Bernardo Bertolucci, whose classics include "Last Tango in Paris" and "The Last Emperor," will receive an honorary Palme d'Or for his life's work.